TRAIN & CERTIFY WITH US. THEN GET TO WORK. Merit offers several cybersecurity certification courses throughout the year, providing you with an education experience based upon the National Institute of Standards and Technology National Initiative for Cybersecurity Education (NICE) Cybersecurity Workforce Framework. Directive 8570.1 divides the workforce into position categories or specialties, featuring various levels within each. It also specifies the types of commercial certifications that qualify for each of the defined categories. The grid below provides guidance for assessing the proper certification commensurate with personnel job responsibilities. Merit offers all of the courses below, through one of our trusted providers. All of these course providers have been accredited by the American National Standards Institute (ANSI). WHAT IS DOD DIRECTIVE 8570.1? 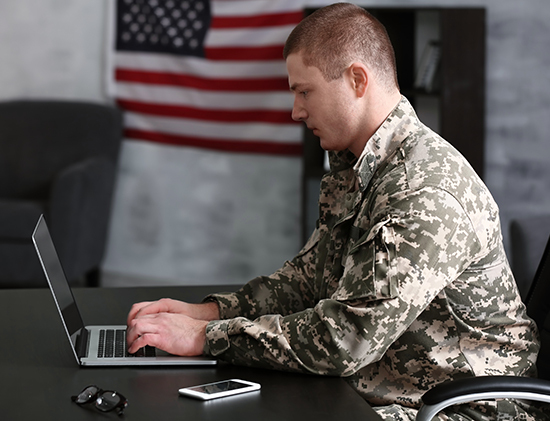 The U.S. Department of Defense Directive 8570.1 requires every military service member, defense contractor, civilian and foreign employee with “privileged access” to a DoD system to obtain a commercial certification credential that has been accredited by the American National Standards Institute (ANSI). All new employees working within an Information Assurance position have six months to complete their baseline certification requirements. All Information Assurance Technical (IAT) and IA Management (IAM) personnel must be fully trained and certified to baseline requirements. This includes full-time, part-time, embedded duty, primary specialty, secondary specialty and duty as assigned. Merit Network, in partnership with Cyber World Institute, is the only non-profit in North America able to offer EC-Council, ISC2, CompTIA and ISACA courses. Many classes include certification test fees and course offerings include most of the Department of Defense Directive 8570.1 requirements. EC-Council classes are offered by Cyber World Institute, an EC-Council Accredited Training Center(ATC) Partner. All trademarks are sole property of EC-Council.